State capital Oklahoma City is a busy hub on the southern Great Plains, located approximately in the center of the oil-rich state. In fact, the city is situated in the middle of an active oil field with oil derricks scattered around the capitol grounds. Still it also boasts many cultural attractions including art, science, and historic museums, theaters, and beautiful botanical gardens. Known as "The Big Friendly" or, more recently, simply OKC, the city was originally settled during the 1889 "Land Run," although Native Americans lived in the region long before the city was established. According to currentresults.com temperatures on the southern Great Plains from December through February range from highs in the 50’s to lows around the freezing mark. Actually, at night during winter in Oklahoma City the temperature often drops below freezing. A good solution for warming up cold rooms is to add radiant heating. Radiant heat is generally recognized for its ability to warm up a bathroom or kitchen, but homeowners can also take advantage of it in one of the coldest areas of the home: the basement. In this instance, the homeowner had an extra bedroom down in her finished — but chilly — basement. To help insulate the space and add an extra level of comfort, the homeowner chose carpet as the floor covering, but she knew it would need some extra help to make the space livable. She decided to invest in a WarmlyYours Environ™ Flex Roll to make the room cozier. The 1.5- by 45-foot Flex Roll cost $608 and filled 67.5 square feet of floor space. 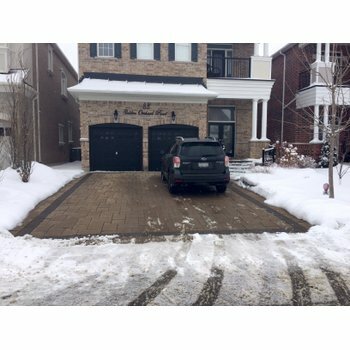 That amounts to just $9 per square foot! The Flex Roll consists of an insulated heating cable sandwiched between two layers of reinforced, durable aluminum foil. 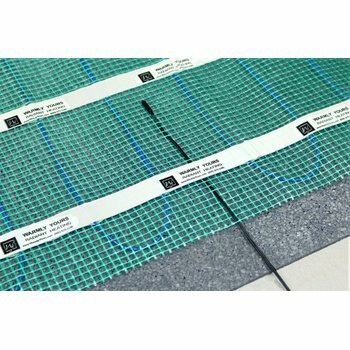 Similarly, the roll was easily installed between the carpet and the pad, radiating 12 watts per square foot of beneficial heat. Even though the cost of the heating element is low, you might wonder how much it costs to operate the system. According to WarmlyYours’ Energy Use Calculator, it only costs 28 cents a day to heat this basement bedroom for eight hours every day. Annually, that adds up to $107.85, based on WarmlyYours’ Heat Loss Calculator. During the coldest month of the year, the electric bill for this room is only $28.30. Are you curious how much it would cost to add in-floor heating to a room in your home? If so, check out WarmlyYours’ Instant Quote tool! 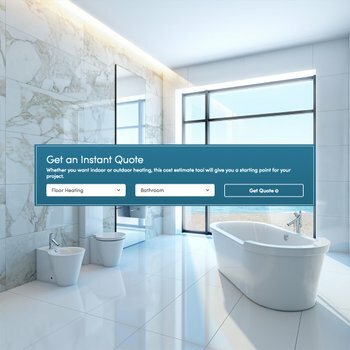 By filling in some basic information about your project, the tool will show you the recommended products for your room and how much each will cost. You can also upload a floor plan of your room to get a custom installation plan. This will give you more detail than an Instant Quote because it shows exactly how the floor-heating system should be laid out including the electrical plan. This information makes installation easier, and it also helps our technical support team to better guide you through the installation process. Free technical support is available 24/7 at 800-875-5285 to answer any questions you may have at your convenience, day or night. Whether you live in Oklahoma City or another city that could use some radiant heat, www.warmlyyours.com has a solution for you. Previous Post What does it Cost to Add Radiant Heat to this Louisville Kitchen?